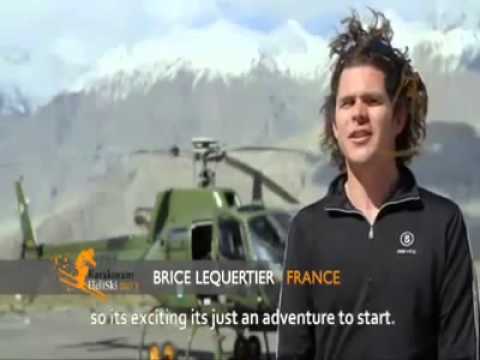 Last year a group of skiers from Canada, France, Switzerland, Serbia and Russia descended on the Karakoram mountains in the northernmost region of Pakistan for a unique Hel-Ski expedition. 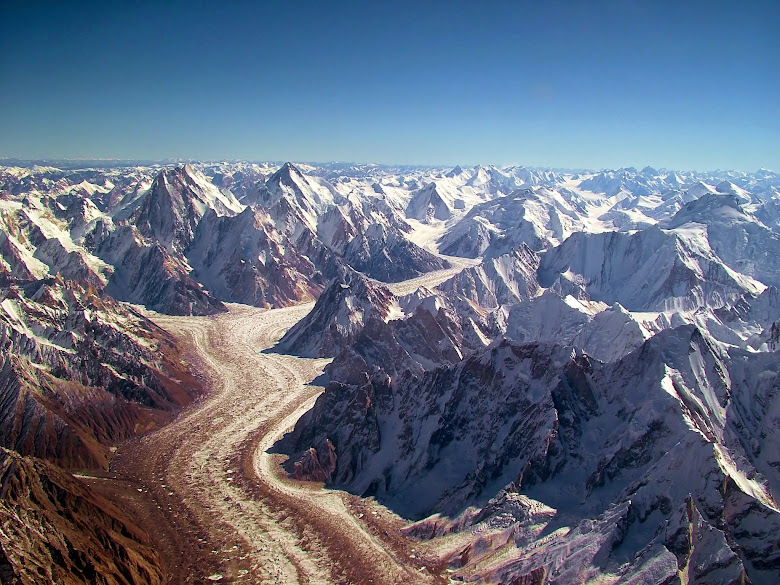 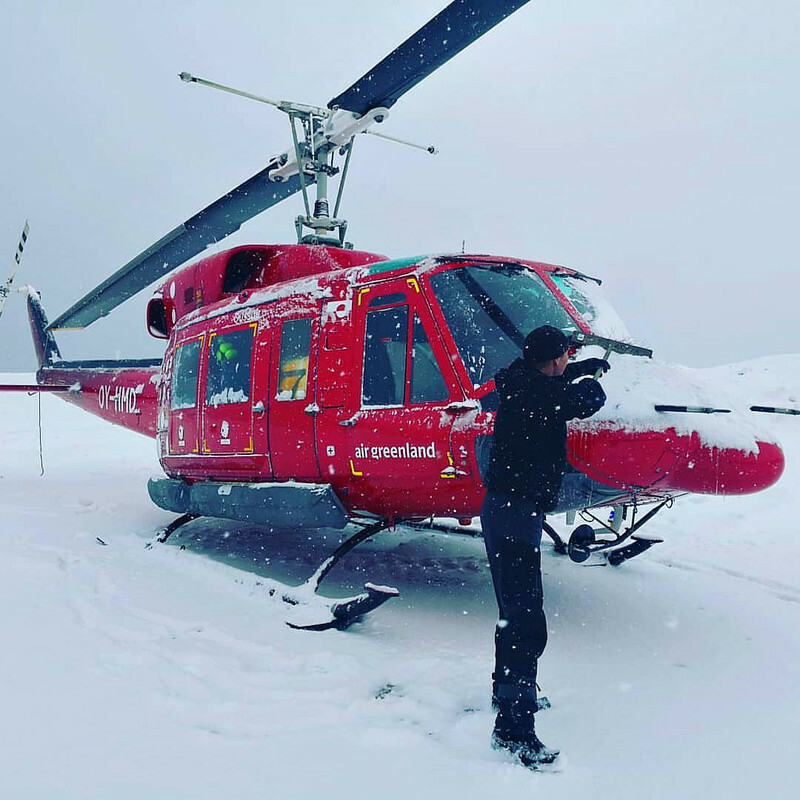 As Heli-Skiiing has yet to 'take flight' in Pakistan (along with winter sports generally) the skiers were slightly stumped as to how to achieve their goal given that there were very few (as in none) civilian helicopter operators in or around the Karakoram mountain range. 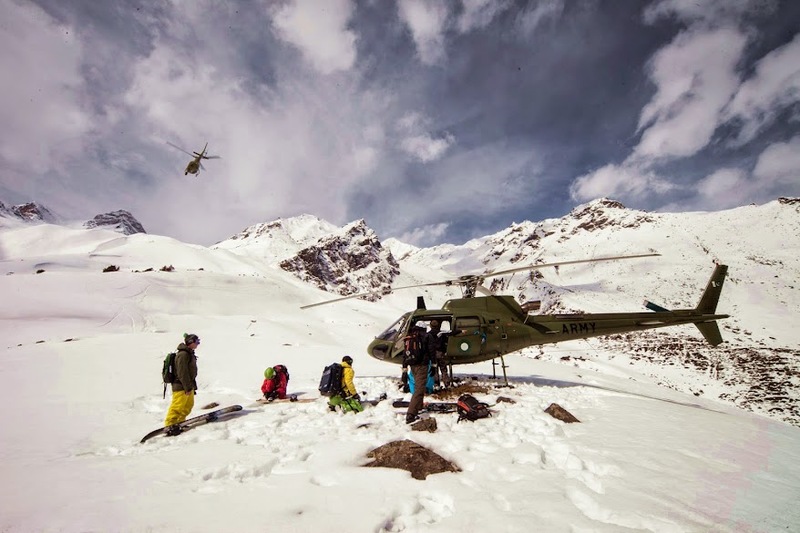 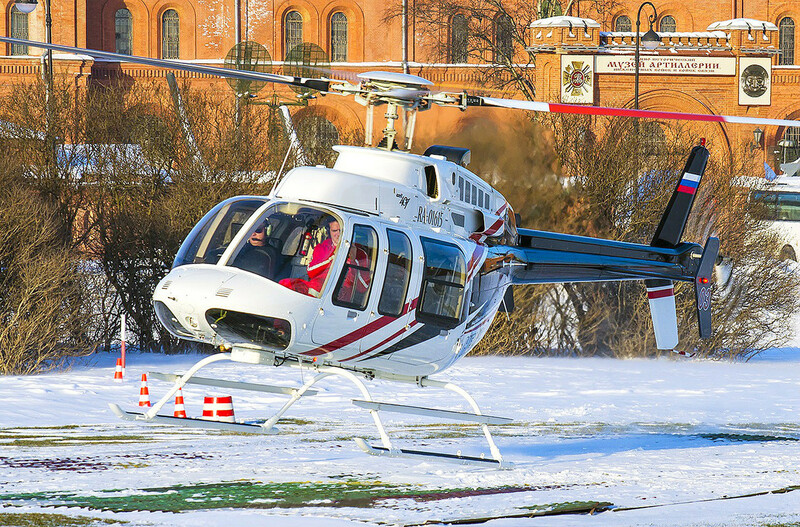 Enter the Pakistan Army Aviation Command, specifically the 5th and 8th Army Aviation Squadrons, who agreed to allow their aircraft to become Heli-Ski transports and for their pilots to become Heli-Ski 'drivers' for the event! 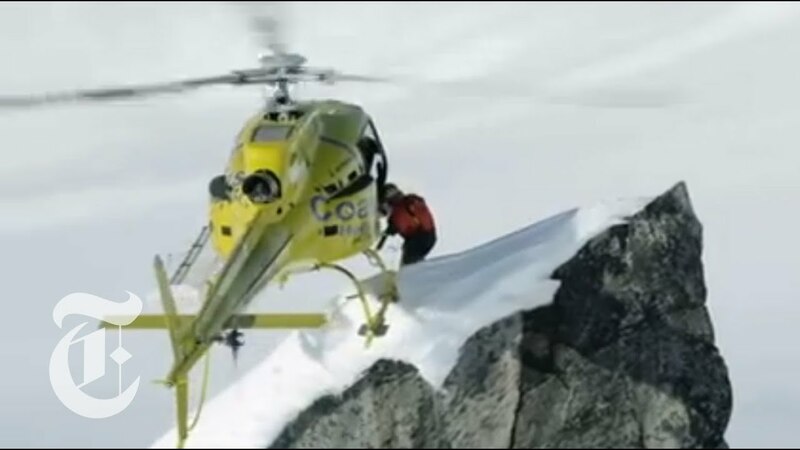 The Pakistan Army did not charge the skiers for providing this service, but instead re-tasked their standard training missions for "Operation Heli-Ski!" 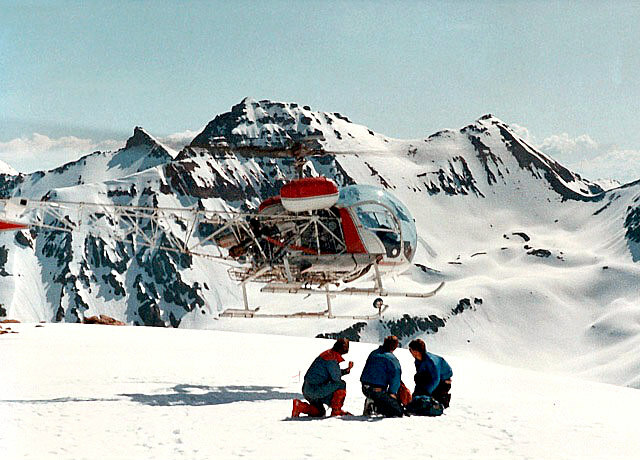 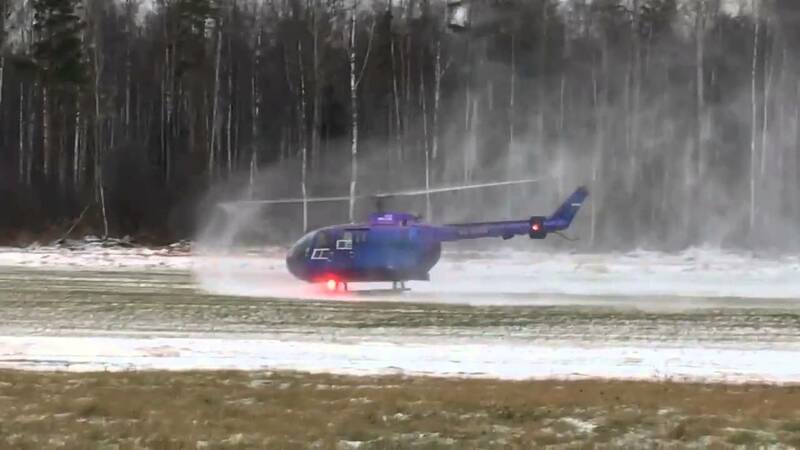 After the event the Army Aviation Command declared that their pilots had learned some valuable high altitude take-off and landing techniques. 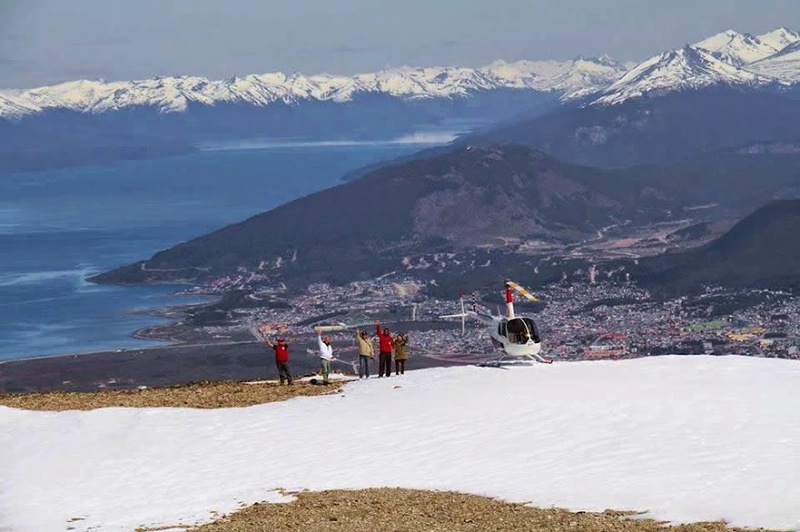 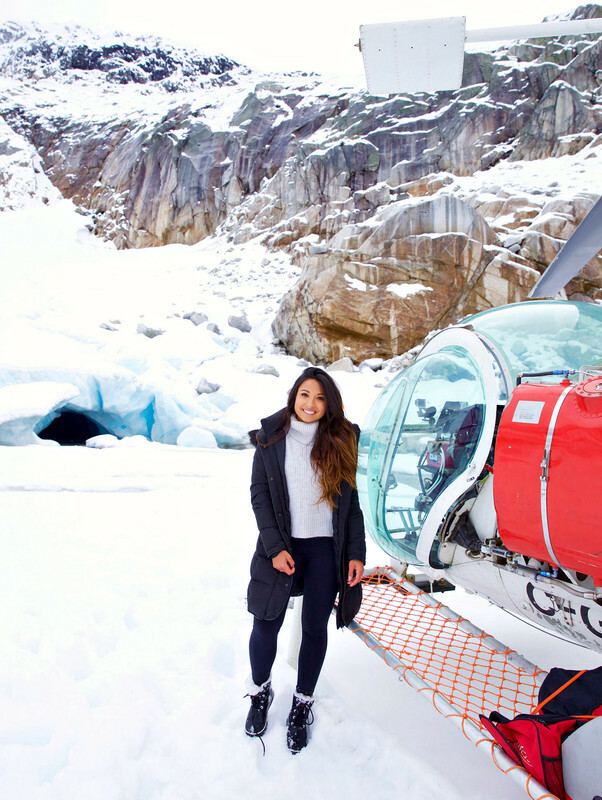 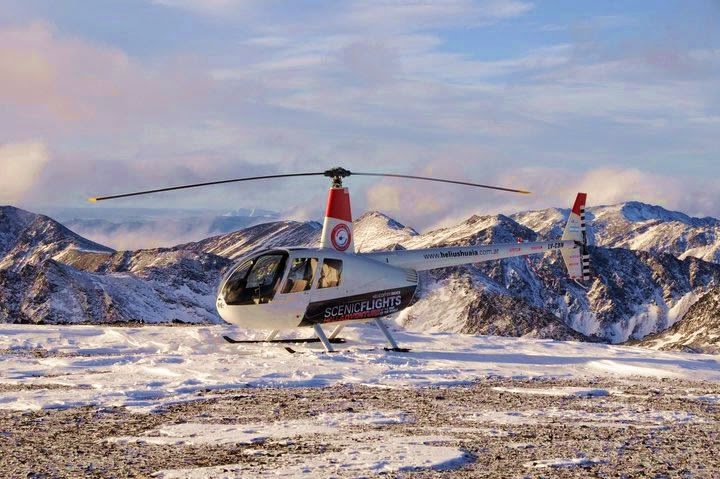 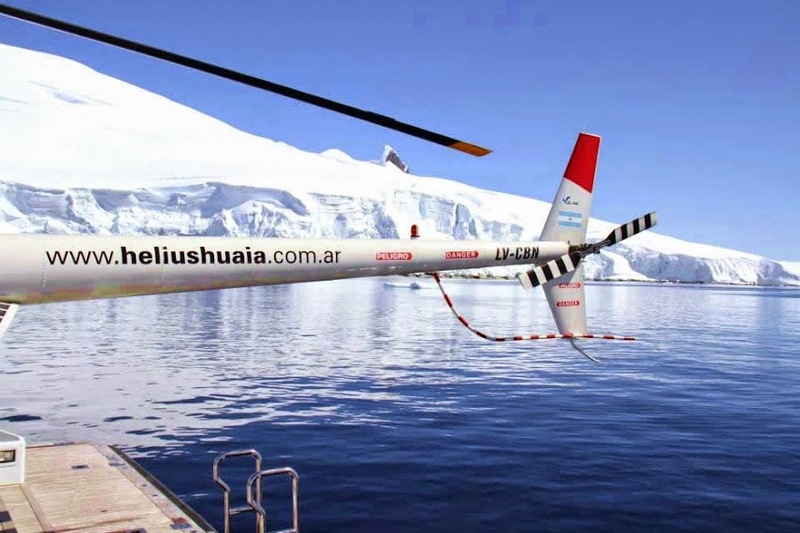 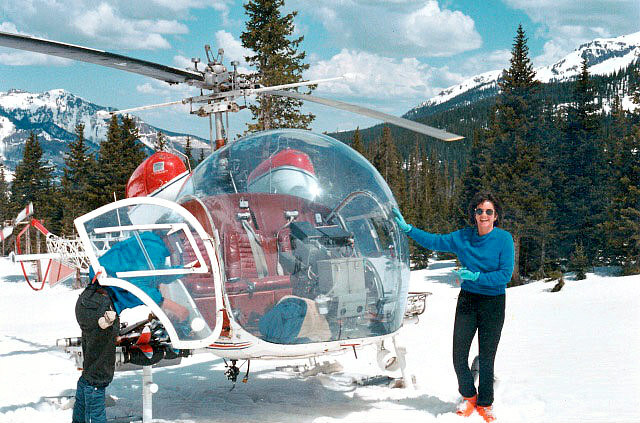 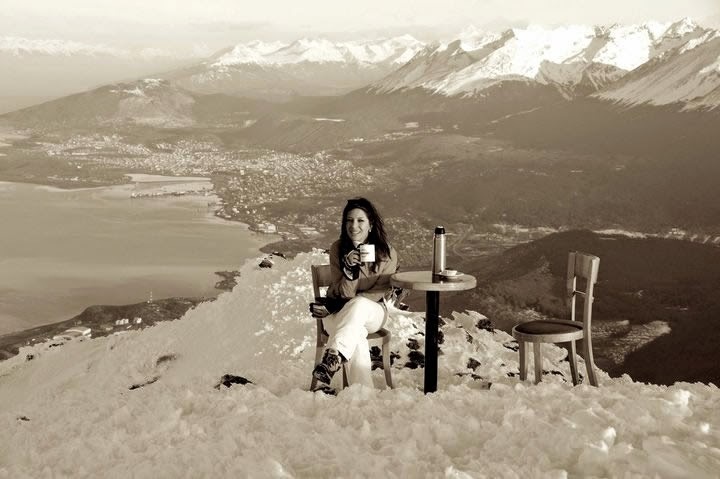 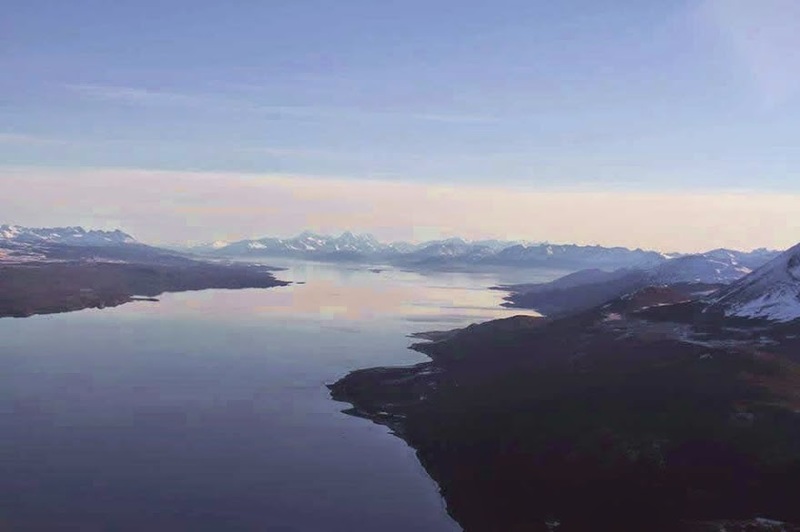 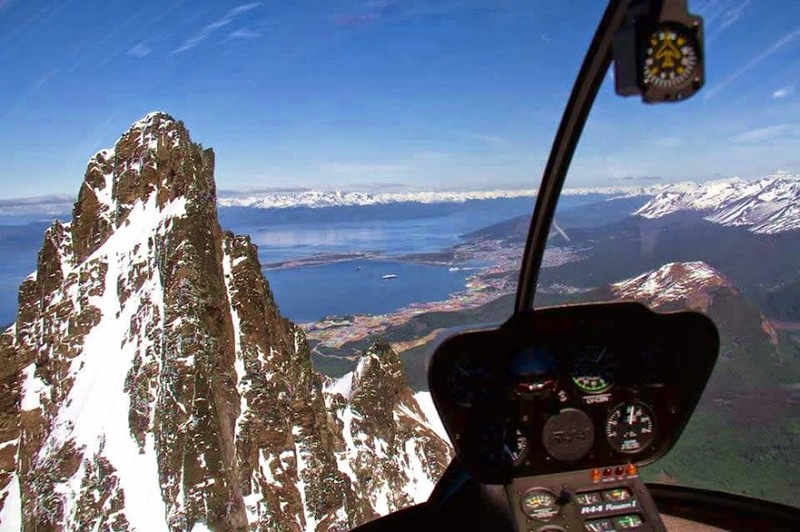 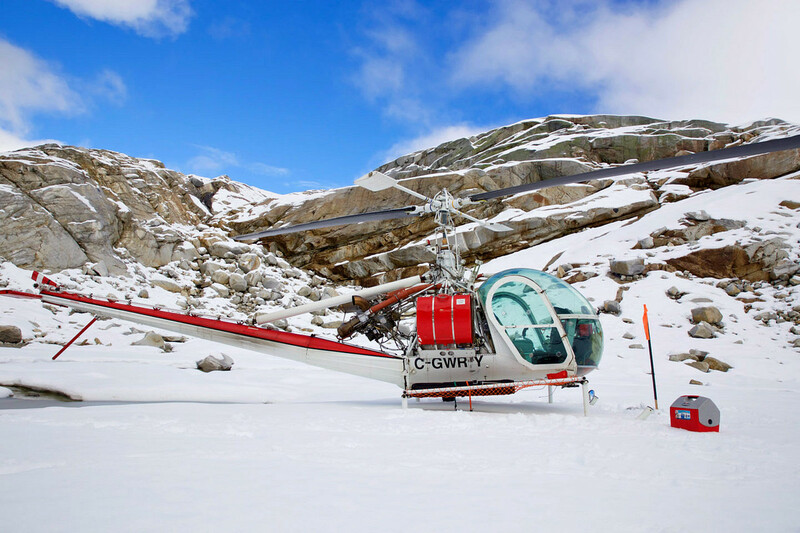 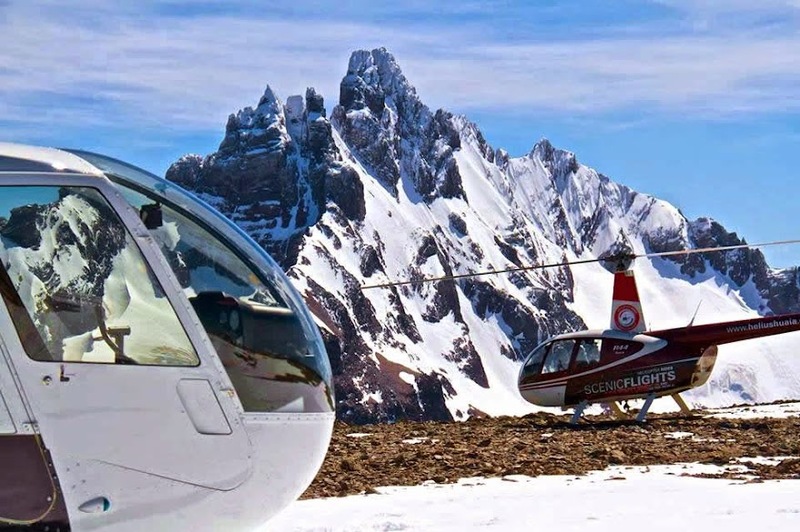 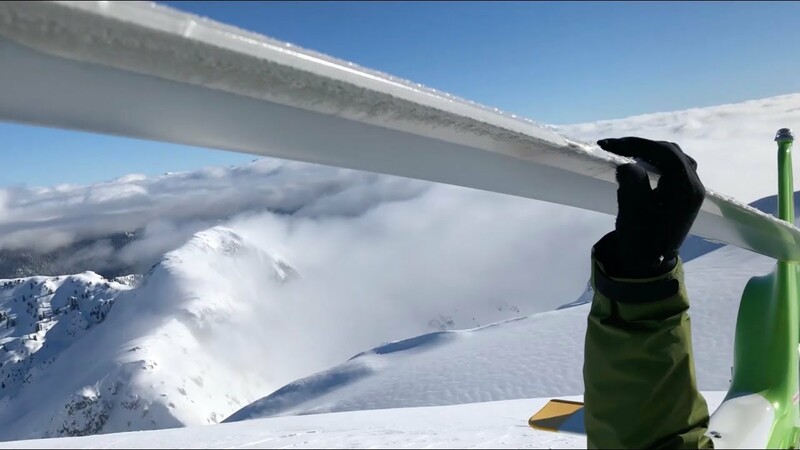 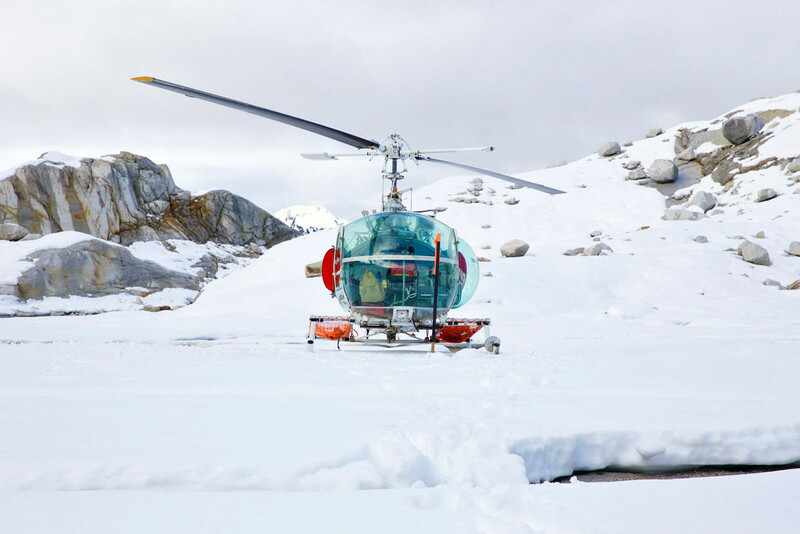 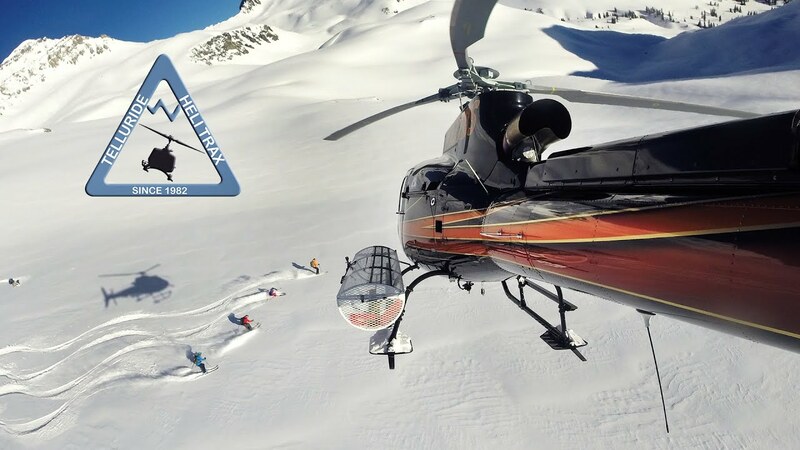 A snapshot of Heli-Skiing/Heli-Tourism in the Argentinian Andes (aka Patagonia) with Heli Ushuaia. 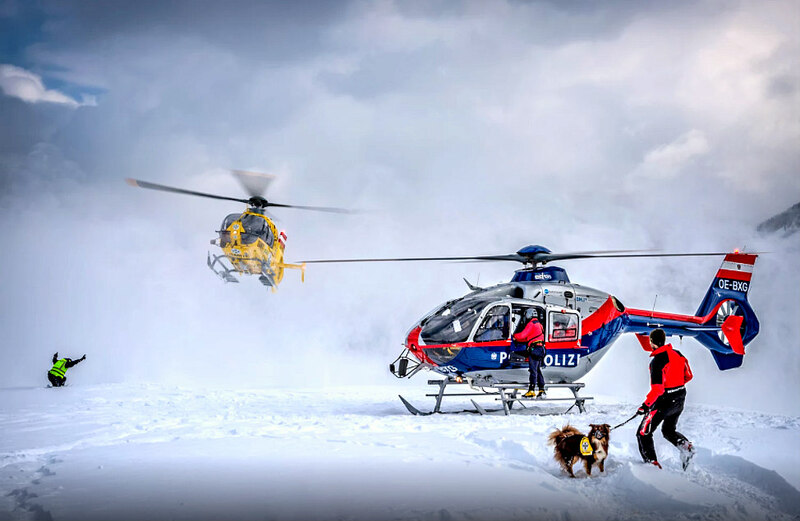 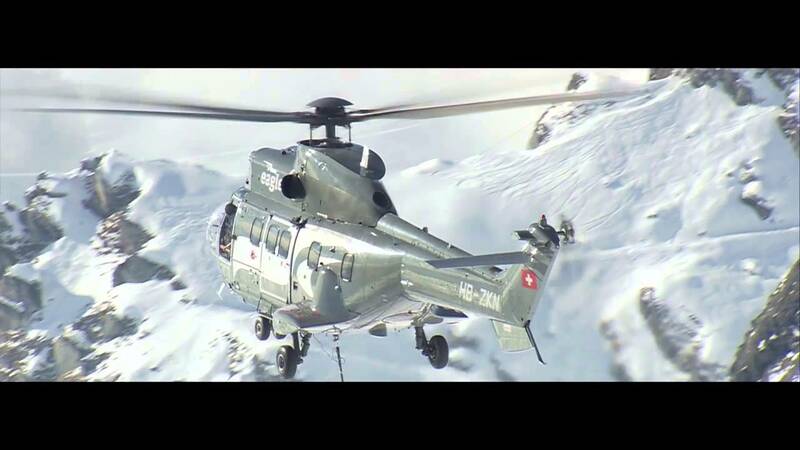 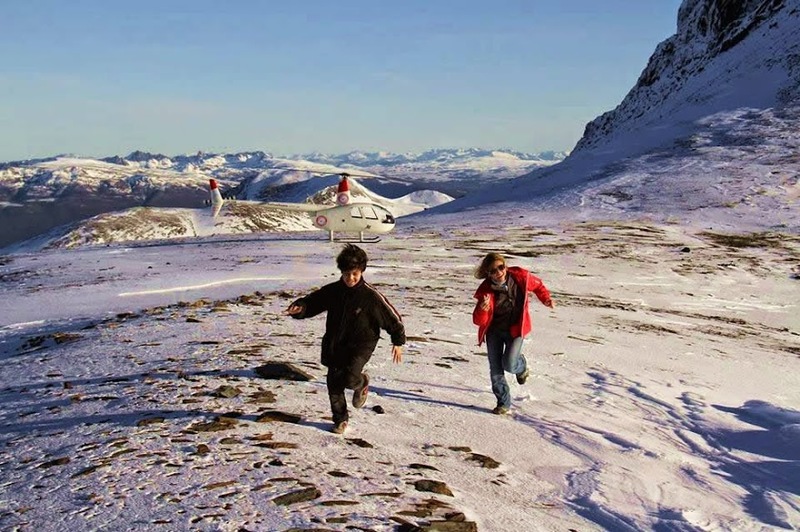 Winter flying in the French Alps (load lifting for a publicity stunt) with now defunct Eagle Helicopter of Switzerland and their AS332C1 Super Puma. 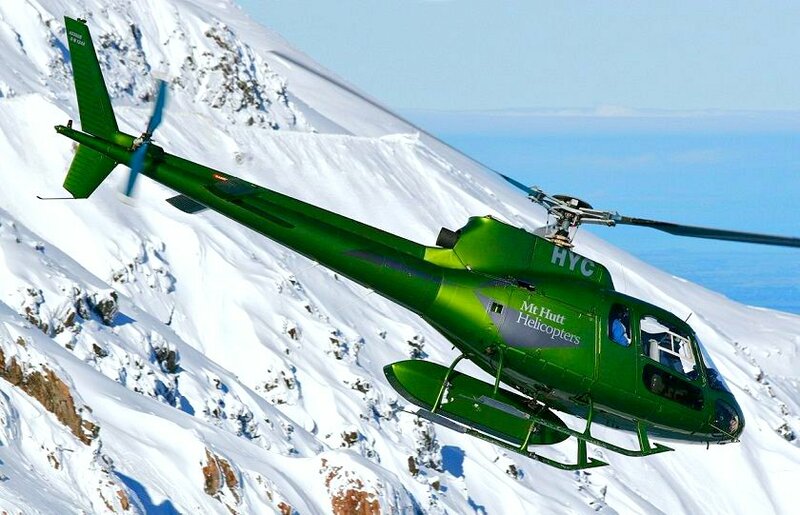 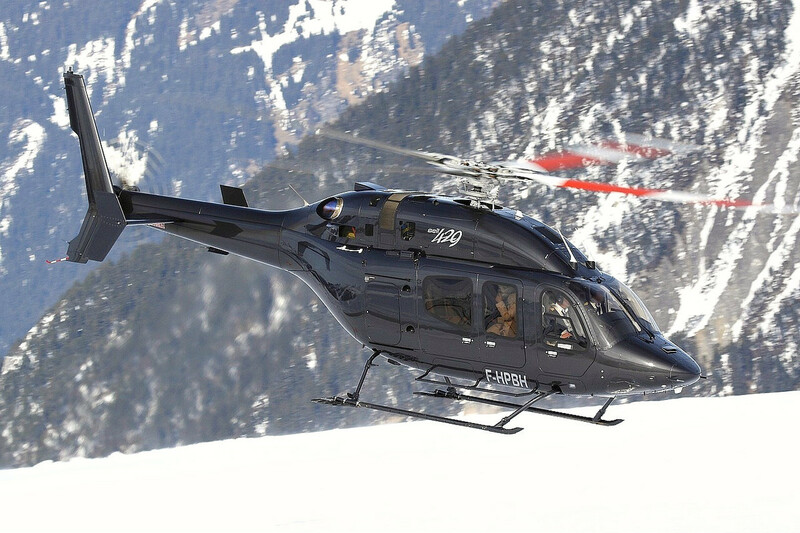 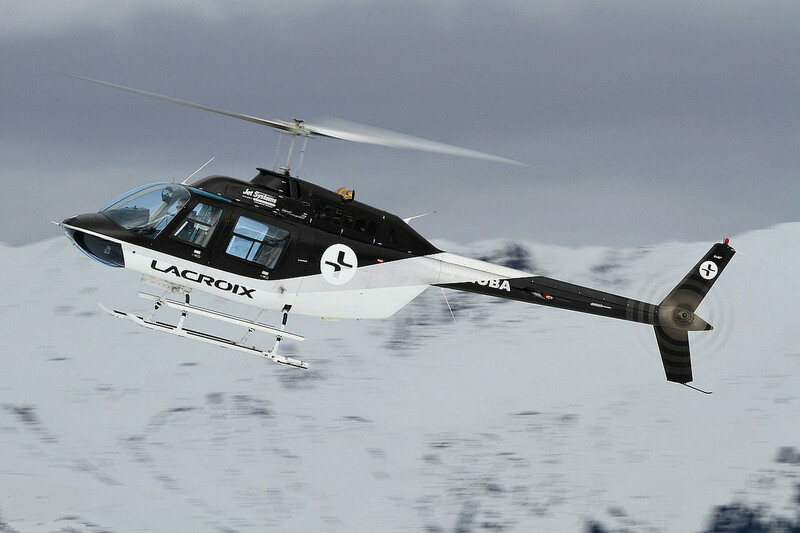 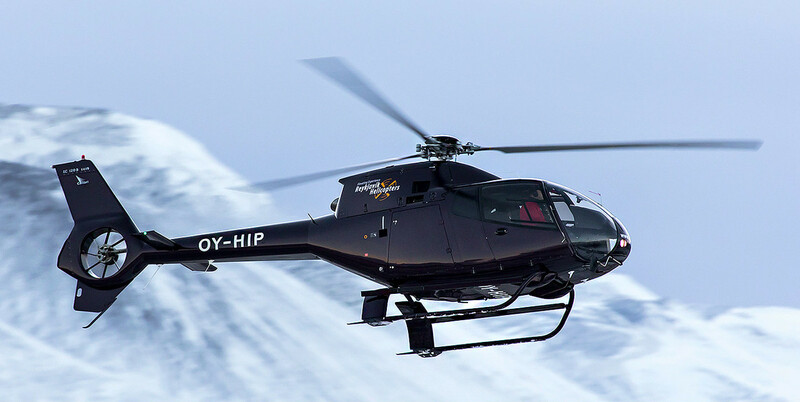 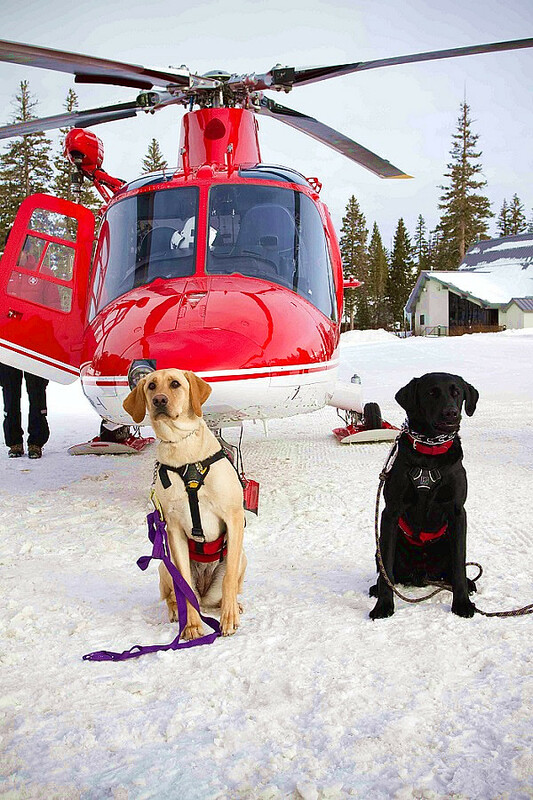 The aircraft (HB-ZKN) has recently been bought by SAF Hélicoptères of Courchevel in France (see story here). 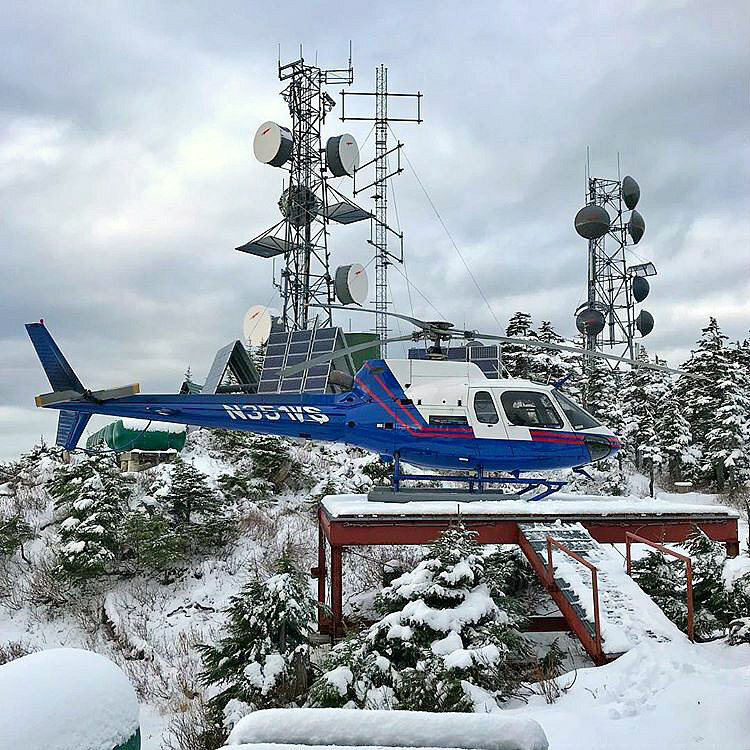 With our thanks to Robert for this lovely photo. 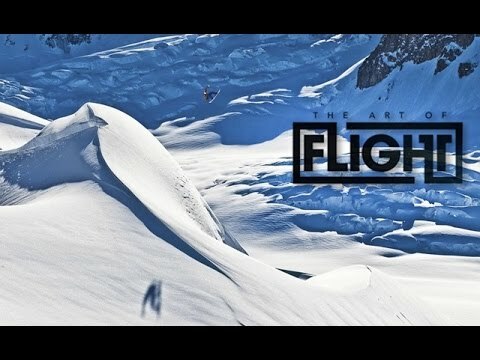 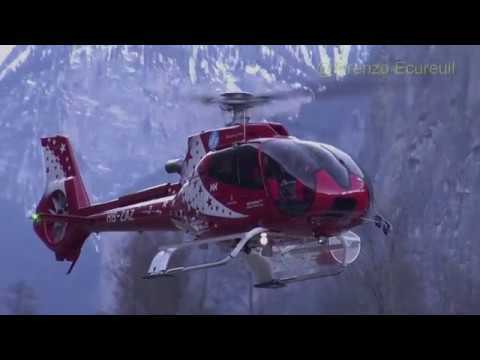 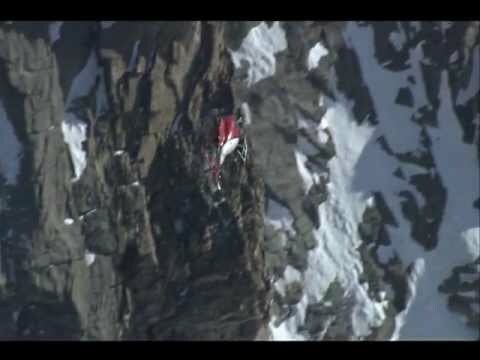 This is a left over from the winter flying season; a montage of movements captured at Air Glaciers Lauterbrunnen base during Lauberhorn 2018 (12-14 January) when multiple operators ferried passengers to the annual world cup ski challenge. 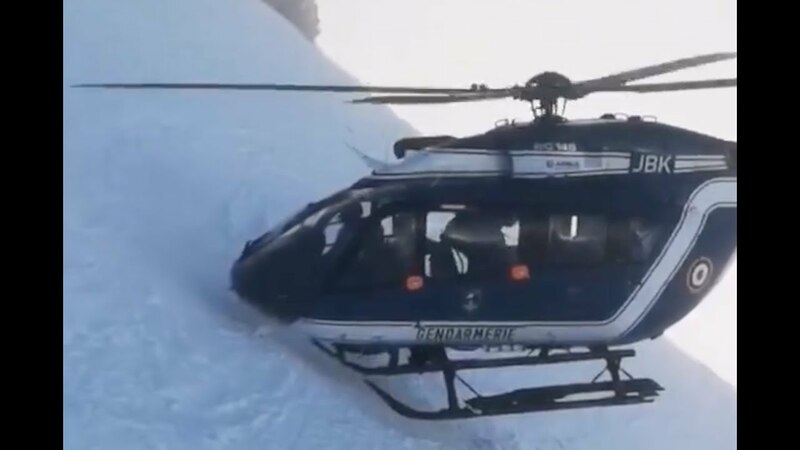 EC145 'JBK' piloted by Jean-François Martin, conducting rescue ops in support of an injured hiker in the Anterne Pass, Chamonix on ​2nd January 2019. 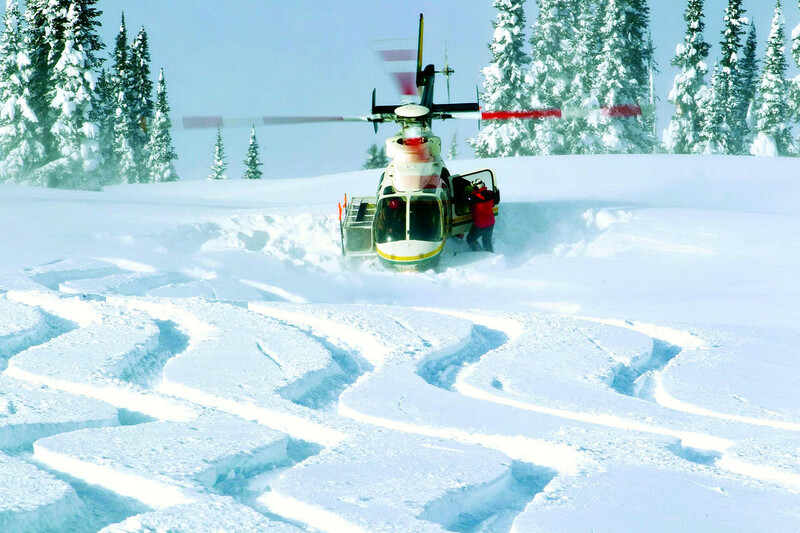 All times are GMT0. 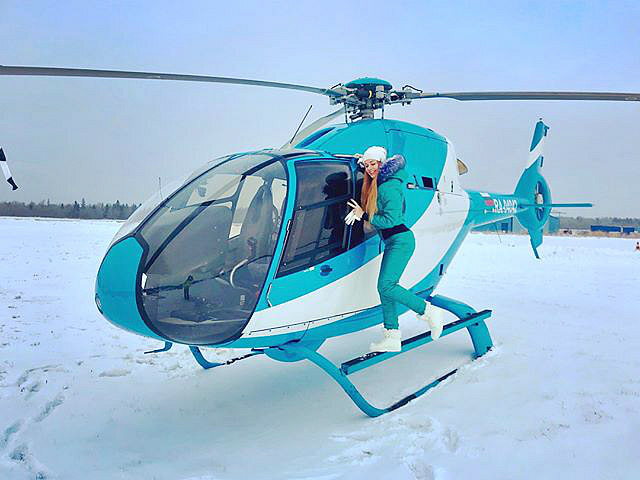 This page was generated at 09:33.